The Kontakt 155/K Green Line is our most powerful dispenser with a performance of 155 l/hr. It is a professional cooling unit designed for dispensing excellent chilled beer as a mobile bar, ideal for professional/commercial purposes and high traffic events. With it's Green Line technology it offers 20% lower power consumption with 20% higher power efficiency and is made from fully recyclable materials. Our most economical draught beer dispensing cooler. 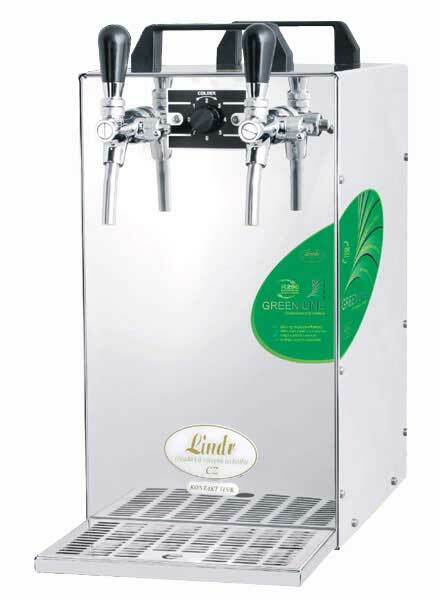 Dispenses 155 litres per hour at 4°C, ideally suited for events that demand large, continuous dispensing of chilled beer. This model includes an inbuilt compressor.